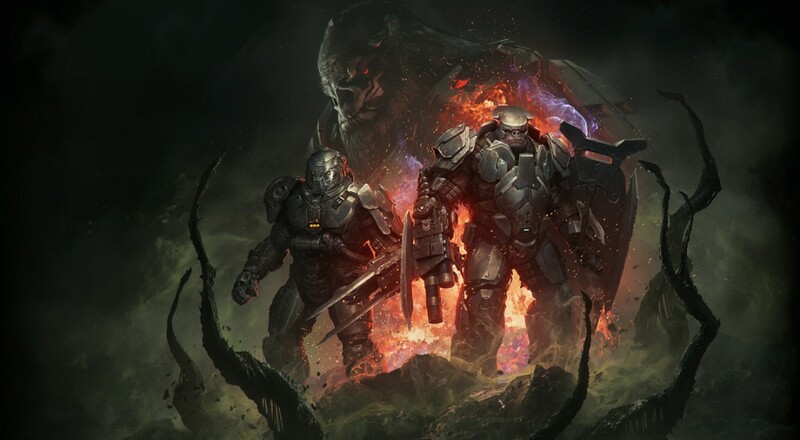 The expansion, titled "Awakening the Nightmare," will shift the campaign over to Atriox and his Banished forces as they fight off everybody's favorite Halo enemy: the Flood. From an overall story perspective, these events take place a few months after the conclusion of the main campaign as the Banished are now desperate to take control of the Ark. I get that desperate times call for desperate measures, but unleashing some zombie plants doesn't seem all that smart. Campaign stuff aside, the big feature for those of us who are co-op minded is the new Terminus Firefight. This mode carries the spirit of the infamous Firefight mode from Halo 3: ODST into the RTS world of Halo Wars. Up to three players can team up to build up forces and bases in order to fend off hordes of foes in what 343 is describing as a "tower defense-style twist to the beloved wave-based Halo mode." Now here's the bad news. This expansion is not part of the Season Pass, if you got that. So, when the expansion does come out this fall, everyone will have to fork over the $19.99 in order to play it. Halo Wars 2 is available now on Xbox One and Windows 10 PC.